Argentina was wonderful, though I'm exhausted by all the excursions we booked. Lots of walking. Highlight would be taking a boatride almost underneath Iguazu falls and getting soaked, and walking on a glacier (very cool photos came of it). 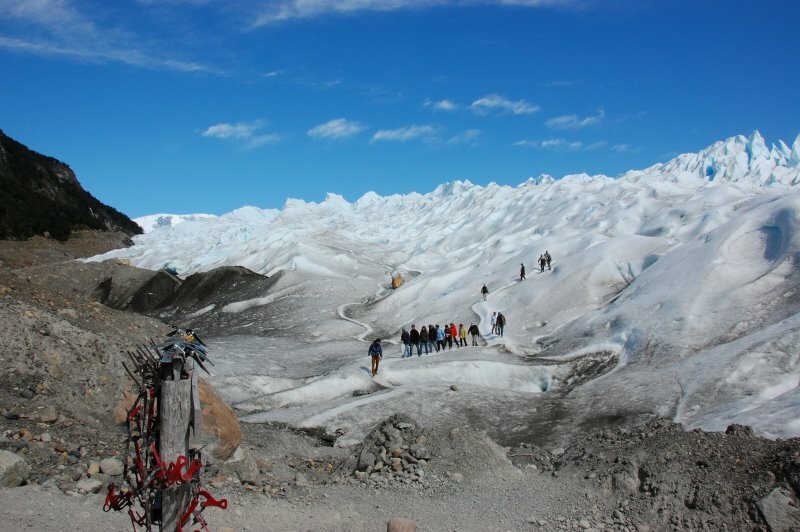 Here is one of the group behind us walking back to the starting/ending point of the 2 hour hike on the glacier. We got to drink water straight from the glacier, and have whiskey with glacier ice! This is the part where the glacier touched land, so it looks dirty. Once you get in there, the pure white and blue of the ice is amazing. Now back to book related stuffs.